Darien’s Southfield Center Supports CFGC on Giving Day! 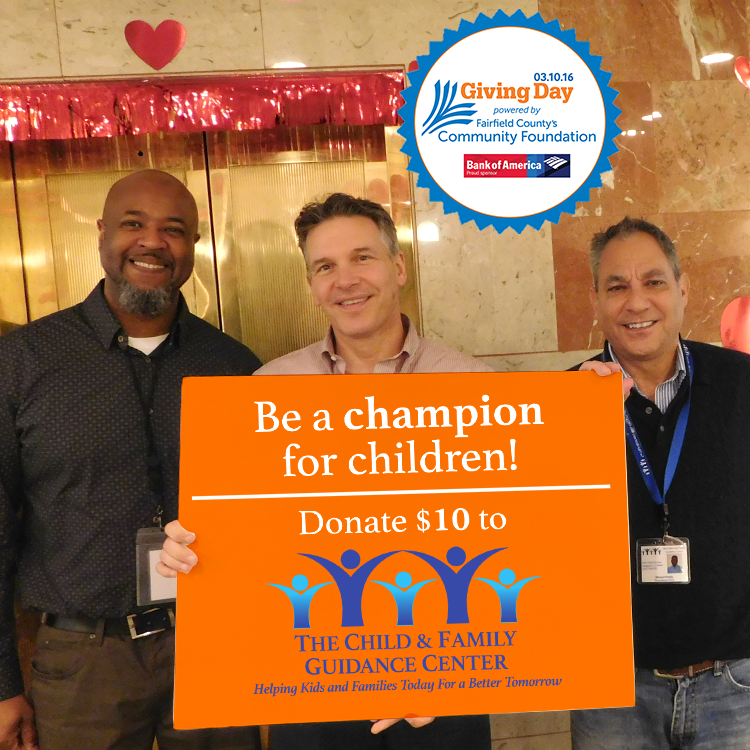 The Child & Family Guidance Center in Bridgeport has been “adopted” by Dr. Christopher Bogart and Darien-based Southfield Center for Development for Fairfield County’s Giving Day. Read more.